Compassion has been on my mind a lot! So I updated this blog post with new resources and content for 2018. How do we learn to be compassionate? We talk about compassion a lot. Many of us know how to be compassionate toward others, and that is a beautiful thing — never stop making that a priority. But what about ourselves? We often talk about self-love, and many of us have awesome self-care practices. But despite these efforts, we still struggle to show ourselves compassion. Instead, we judge ourselves for every misstep, every wrong word, every mistake. We even get mad at ourselves simply for being out of alignment with our highest self! We all get knocked out of alignment. We all judge ourselves. What matters isn’t that we never judge ourselves. What matters is that we forgive the judgment and treat ourselves with compassion so that we can return to love fast. When you learn how to be compassionate toward yourself, you can access peace quickly. You can be more loving and compassionate toward others. You can show up for yourself and for the world in a more powerful way because you’re not pouring energy into self-judgment and self-attack. Compassion is a superpower we can all cultivate. This practice comes more easily to some people than others, and that’s okay. Honor your process. When you are compassionate toward yourself, you allow yourself to be vulnerable. And that’s incredibly important. Your authentic truth is your magnificence. Your willingness to let the world see you in truth is your greatest contribution. What does it mean to be compassionate toward yourself? What does it mean to be compassionate toward yourself? How can you practice self-compassion in your daily life? For a long time I thought of compassion as something we give to someone else. But I hadn’t thought about showing myself compassion. I’d been talking about it for years, but it took a long time for me to fully understand it and incorporate it into my own practice. I worked with a teacher who showed me how to be compassionate toward myself every day. She taught me a very simple practice that has enormous impact. It immediately restores a sense of peace. Now I’m sharing this practice with you. I recorded the video below in 2015, when I first took on this topic of self-compassion. In it I share a simple 2-step method for how to be compassionate toward yourself. I also break down this method below! When I witness myself in old stories or old patterns, or if I see myself triggered or wounded in some way, the first step is to feel what I’m feeling underneath that wound. One very easy thing you can do in the moment is simply say out loud, “I feel uncomfortable.” Just giving voice to your feelings makes a big difference. For more guidance on this topic, check out this blog post on how to honor your feelings and move through them. The practice of feeling your feelings is a fundamental part of my book Judgment Detox. In fact, the second step of this six-step method is called Honor the Wound. If we don’t honor the wounds and energetic patterns that dwell beneath our judgment, they will keep coming up — over and over and over again. One of the most powerful ways we can honor our wounds and feel our feelings safely is through Emotional Freedom Technique (EFT), also known as tapping. 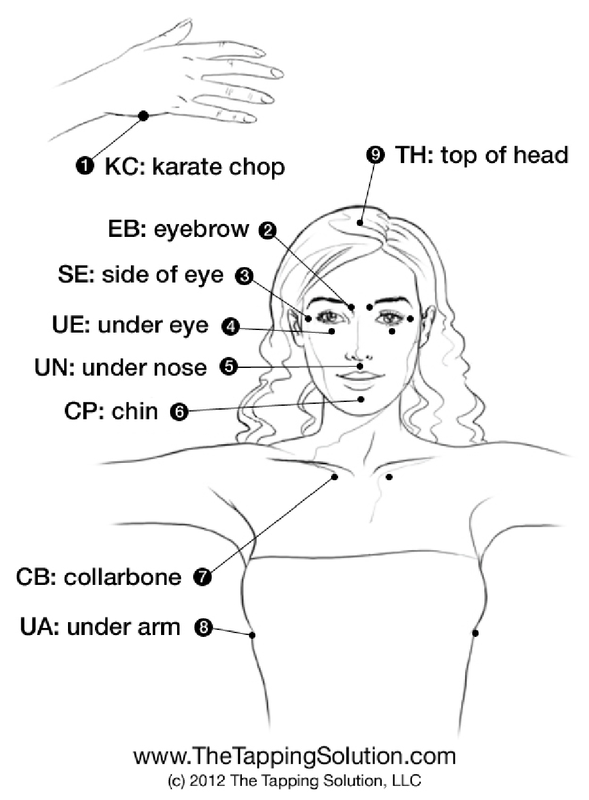 The practice of EFT asks that you tap on specific energy meridians on your body while talking about the problem or issue that you want to resolve. Allowing yourself to emote while simultaneously tapping on the energy points sends a signal to the brain that it’s safe to relax. Our fear response, which is controlled by the amygdala, is lessened. This practice will help you heal the triggers, wounds and traumas that live underneath your self-judgment. 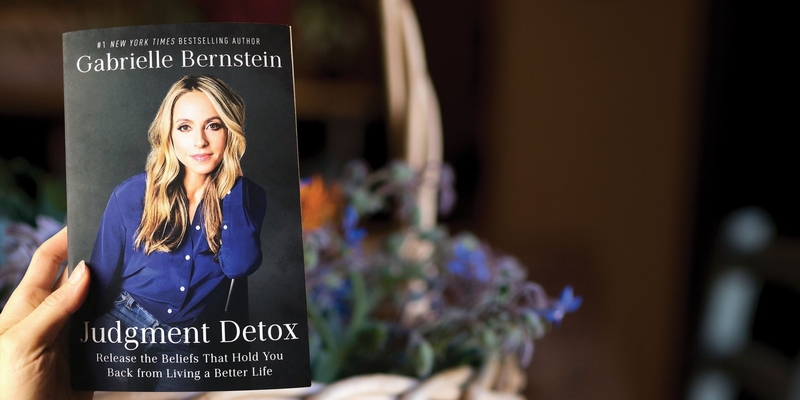 In my book Judgment Detox, I guide you through a six-step practice to clear judgment, feel great and release the beliefs that hold you back from living a better life! In Step 2 we honor our wounds with EFT. I put this amazing technique early in the book so you can experience immediate relief. 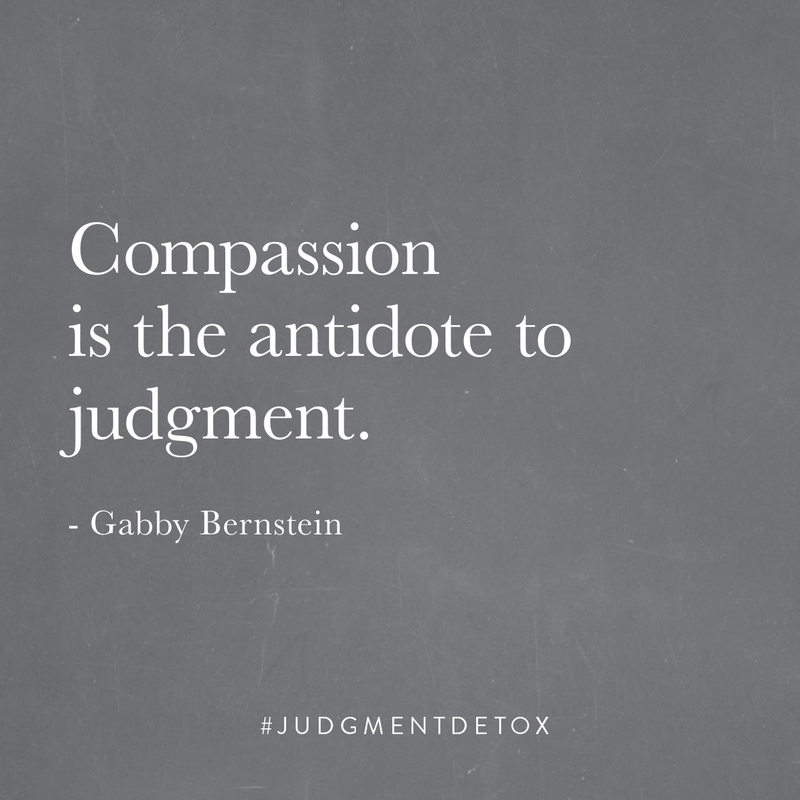 Judgment Detox is out in paperback! Order it here and get a free gift from me! The process of compassion begins with self-talk. How would you speak to an innocent child if they were coming out of a meltdown? Think about the loving words and energy you would offer them. Then apply this same degree of love to yourself. Take a moment to write down some ways that you could speak to yourself compassionately. For instance, when I notice myself stuck in a spiritual assignment or judgment, I allow myself to feel the feelings of rage and anger, and then I notice that those feelings come from a sense of not being lovable. The fear comes from a belief that I’m not good enough. Upon realizing these feelings I take time to compassionately guide myself back to self-love. When I do this, my inner wisdom, my highest self, can come forward and can show up for that weak, wounded ego part of myself that is still unable to see the light. These simple words can catapult me into a place of calm. This is a practice of self-soothing, self-love and self-compassion. In this video from a talk I gave at Wanderlust in L.A. I share another example of what compassionate self-talk can sound like. Notice how moved I feel when I’m talking to myself lovingly and compassionately! Consider this the next time you’re judging yourself or the next time you’re confronted with a spiritual assignment. Simply go into a place of compassion. In that dialogue, you will come back to a place of deep love, compassion and peace, because you’re allowing yourself to be wherever you are in whatever is happening. You’re not resisting. You are allowing, and you are trusting that the Universe is giving you what you need in order to heal. Of course, many times we do both. But this is a recipe for disaster. Instead, when you feel judged by someone else, your work is to make someone else feel loved! Do something kind. Do something compassionate. Giving love to another person is the fastest way to stop the momentum of the negative energy and feel better right away. Plus, when you order the book you get a FREE gift from me! Grab it here. Gabby, thank you so much…your book ..may cause Miracles….is guiding me every day. I will practice the idea of compassion, it imcompasses all you teach…thank you for all you do….it’s helping me clear my anxiety. I easily have compassion for others, it is a daily practice. However, I don’t know how to direct it inward. I heard what Gabby said and will work on it. I have a hard time praying for myself but constantly pray for others…Gratitudes for myself come easily and often, why can’t prayers and compassion? Hii gabby..yes I do talk alot to myself..it really helps..like if im hurt with smthin or if any situation has re occurred in my life I tell myself dat its coming again for me to learn a lesson..and untik I dont learn it it will keep occurring. .
Hi Gabby! I’m so happy you brought up this topic. I really feel we need more of this in the spiritual community and HONOR our deep wounds to allow ourselves to naturally progress to a higher space. I found this practice a year ago while I was going through one of the most intense and disorienting experiences in my life and I realized that part of all the chaos I was experiencing was because I was unable to make peace with what was being triggered in me. I thought it was not ok. I fought back, I resisted it and it only grew and got worse until I had no other choice but to surrender and start loving myself for showing up, for making the bold changes I was making and living my life in a different way. I really like your vibe & energy! Thanks for bringing this up and I hope to see more from this. I think we really need spiritual leaders to show us the way to be present with what is present within us. This almost brought tears to my eyes! So I KNOW I needed to hear this today. 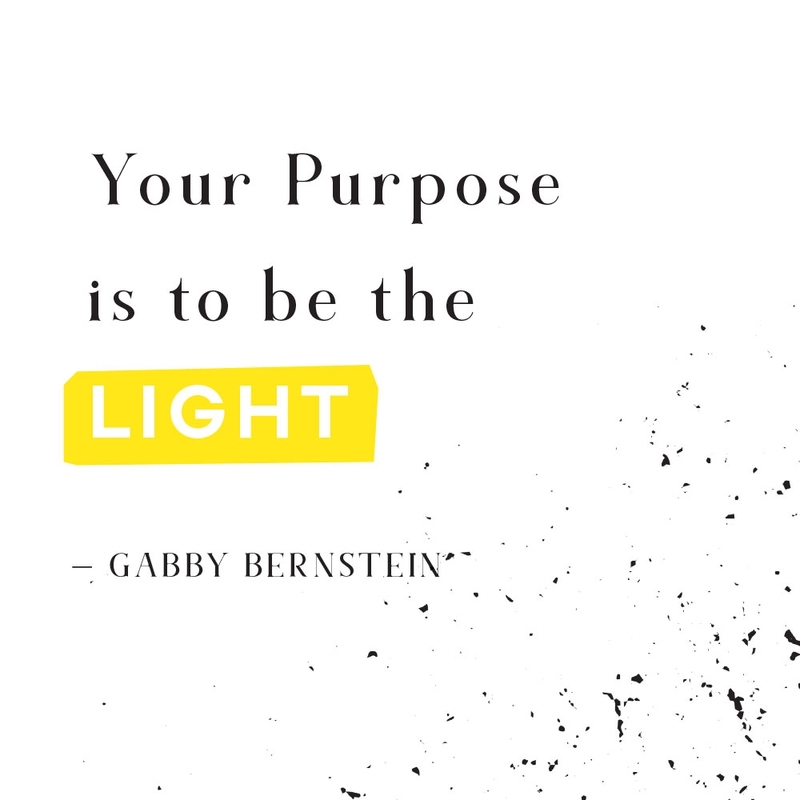 Thank you so much Gabby for shining your light and sharing such a profound message. It’s a recurring message for me lately to speak to myself as if I were speaking to a child. Makes so much sense. And I suspect that the emotion I feel around this message is that of relief. Just let go (of the harsh criticisms). Love it and love you! I am going through a relationship crisis where I have been told its not me its him and all m self doubt resurfaced and I felt completely lost. But I have had beautiful moments when I know that it’s okay to feel this way. That I am perfect just the way I am and I truly do love myself. My compassion comes from deep within my heart and I know I am going to be okay. That it is normal to feel these emotions and everything will be alright. Somehow. self compassion will be major for you right now. it’s a game changer.. I have been able to recognize and acknowledge the old wounds more readily, lately (sometimes it’s hard to do that!). I have begun to use more positive self-talk about what I want and need in my life to move past those old wounds and enjoy my life. Thanks for THIS guidance, on a foggy mild December morning! YES, Gaby…..COMPASSION for SELF is MY greatest hurdle. Such a great reminder today. Somehow, somewhere, I failed to learn that important lesson. I think there might be some EGO piece that needs undoing here. Whenever I feel nervouse or unbalanced or uncomfortable It is hard for me to just sit with it thats why I Turn to Food instead or stressing around… Todays Video helped me to not be too hard on myself. It is okay I will make it through. Thanks Natalie for being able and strong to Look at this and to heal from that. Thanks Gabby for that tool ???? This is so timely, especially during the holidays, when seeing “button-pushing” relatives and stepping into toxic-but-familiar scenarios becomes part of the journey. You have a great point: These situations need not lower our energy. We can look at them as situations that show us how far we’ve come, a yardstick in our healing. Thank you for sharing this! And thank you for reminding me to look at myself with compassion. I can’t be a light for others until I know how to shine first. Sat Nam, Gabby. Thank you for all that you do. I love this. I will begin today to talk to myself with the love and compassion that I have when talking with my son. And I WILL stop being so hard on myself. Thank you, Gabby. Thank you for all you do. I read you’re book spirit junkie and I related a lot with my struggles growing up. My daughter over the summer when she was home from college saw it on my coffee table and just grabbed and asked me if she could borrow it. I said of course!!! You will love this author and spiritual teacher!! She read the book and loved it so thank you gabby for being a positive and shining role model to woman of all ages. Namaste. Dear Gabby, I always talked to myself (at least for a very long time) but not in the way you’re showing. I’m giving it a try, thank you so much. By the way, I saw some spirits surrounding you in the video. Very beautifull. Inner dialog is crucial for me. It’s like a chat with FF – changes the perspective and emotions completely. Love&green vibes to YOU! The most powerful way that I have shown up for myself in this is through an inner child meditation. There I see myself as I was as a small child and I tell that beautiful little girl all the kind things that she needs to hear to feel happy and secure. In this way i am able to extend compassion to myself in the same way that I can feel it towards others. YAY! Hi Beauty! I love this! And I love to see you practicing and teaching this! This is how I’ve been healing my schizophrenia. I know I need to apply it to other areas of my life. Every time I have a hallucination or a sense of confusion, I just hug myself and tell myself I love her! Sending you Love, Light and Angels! May you be at peace and filled with joy! be very kind and gentle with yourself. she is a truly talented therapist. After a somewhat dysfunctional Sunday night Christmas gathering with family I was excited for my Monday morning coffee with some amazing friends who are helping me to change old behavior patterns and live with trust and vitality. It has taken so much courage for me to reach out for these new relationships. They cancelled, my gas tank was on empty, its driving rain and 34 degrees outside, the gas pump didn’t work so extra time out it the wet and cold…and here I am deciding how I want to treat myself in this wounded, triggered place. Very timely video. Thank you. Thank you for spread beautiful messages to the people and doing it for free, I think is great. I think this technique is awesome for sure, sometimes I do it automatically, but I do think that if I actually learn to do it systematically it can help me very much in my day to day life. I have a few very sensitive days and just the fact to hear the advice and you made me feel better already, so Ill be practicing this today and hopefully more often. Hello! Thank you so much for sharing this Gabby. I truly love all of your work. I am not yet able to recognize my “patterns” yet. How would you suggest I learn how to see them? Also, I cannot “feel” what I am “feeling” meaning, when I am angry I do not even know that I am angry, when I am sad, sometimes I think it is anger, but most important, I do not know what these feelings feel like as a sensation in my body and it has been tough to follow you because I cannot overcome these issues. I really want this but I do not know how to get there. Help? Mariska Van Gennep said, “By the way, I saw some spirits surrounding you in the video. Very beautifull.” there is a light behind you that goes away and comes back, after that comment I went back a few times to view it. It appears to only be the sun but when the light goes away it looks not like a window but a door. Can you tell us what this is Gabby?????? First and foremost, thank you for all that you do. You are a beautiful spirit. Your talk about compassion serves as a confirmation for me in my life. I practice self-compassion when I realize that I get a negative vibration from someone who unconsciously rolls their eyes at me and has a negative attitude. When I feel myself out of balance, I take a moment to sit and be still for a few minutes and allow myself to feel the dislike or that wretched feeling in my gut that immediately starts to pull me down and I mentally say to self….. “I am loved unconditionally and I take full responsibility for my life. Look inside and realize that we are all one. I love you.” I apply this practice at the moment when I am aware of a negative situation that is about to trigger a negative reaction from and I am immediately calmed and centered. I asked the angels for help and here it is. Recently I’ve been given everything I ask for. Thank you angels. What a great way to show compassion to yourself. =) I love this idea and I know this would help me feel better when I’m being self critical or having a hard time dealing with difficult situations. so appreciate this practice of ‘self compassion’ and in the presence of thoughts or patterns that maybe less than loving. From you video i shall remind myself more often of this and practice! I honestly never really knew what compassion was or how to define it for myself. This video gave me a perfect definiton! I need to be compassionate towards myself because if I don’t I completely block my ING and intuition from within. Thanks Gabby! Just wanted to thank you for your work… your voice & videos have become something I pour a cup of green tea & look forward to viewing. Your words about compassion struck me dead center as this is exactly what I am working on to help get over my anxiety as I start my passion project (I even put a quote of yours on my homepage;-) THANK YOU!!!!! How can you provide guidance to a girl who has an “apparent illness” since childhood to learning about that she can apply compassion for herself? What do you think about the babys that born with a illness? I say apparent illness because it does not exist in the mind of God. I think is a contract of the soul to learning in that situations. Tai from Venezuela. God bless you!! Here you have a sister connected with you through the Love of God. This is excellent advice, especially for the holiday season. I invite you to check out the work of Kristin Neff on self-compassion by searching her name on mountainsangha.org or googling her books. I’ve gotten a lot of benefit from her book and her day of mindfulness at Spirit Rock. Thanks for your wonderful advice. Holy Toledo! This was awesome, just this morning I was beating myself up because old memories surfaced and I felt embarrassed and shameful and I was trying to start my day off on a positive note. I saw the email but chose not to view it right then and got busy with my day. It was late in the afternoon when I opened my email again and yours just got my attention and I watched it. I did what you said and I felt like a car had been lifted off of me! I see what you mean. It worked right away. Thank you so very much Gabby, the universe brought you right to me in my time of need or awakening! Honestly, this seems next to impossible. I am presently in the depths of grief after my husband of 8 years left me with two small children. I have spent my entire adult life in two long term relationships that ended in betrayal and abandonment. I think the lesson the universe is sending me is that I am meant to be alone. If I could just accept this maybe the pain would go away. With two little kids, i have not much time for me, myself and my thoughts. Is there a way, I can take my little kids (3 and 5 years) with me on my journey to spiritjunkie? The comment about speaking to yourself as if you were speaking to your own child really spoke to me (lol no pun intended). I am young, but one of the things I most look forward to in life is having children. I also have some issues with my parents and how some the things they say I know I would never want to say to my children. But I realize it is only because they are wounded that they can speak this way. If I cannot learn to have compassion for myself and be kind to myself, how will I have kindness and compassion for my children? Or really have compassion for anyone for that matter? I know it’s not all about others, and sometimes we really do need to focus on ourselves. But when that gets hard, it is helpful to think of how your relationship with yourself directly affects those you love. And this creates a beautiful cycle of the light we see in others reflecting the light in ourselves. Thank you for this video. I really needed to hear this. Cannot wait for your new book, oh my gosh!!!! PS have you ever thought of writing a book on food/health/spiritual relationship with food. I know you have your Finally Full course. But you seem to get healthier each day (especially noticeable in your Instagram). Maybe a book coming up could be about the spirituality of food/weight and include some of your recipes! In this video you show a spectacular inner light, which tells it all! Dear Gabby, thanks for sharing this video. 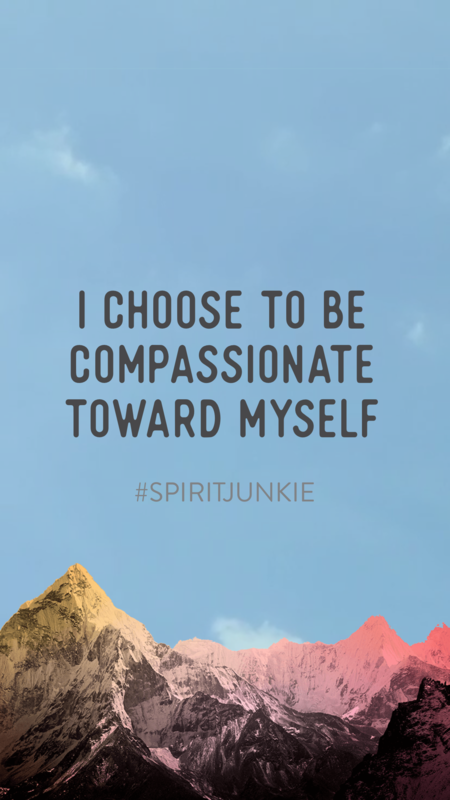 I’m doing your Spirit Junkie Masterclass and did the EFT-module last week. I think this really resonates together; Although I feel….. I really love myself. It softens my mind about myself and my feelings. Thanks for all your beautiful work of sharing and inspiring. Thank you so very much. As I am a very spiritual person, I never quite thought about being compassionate to ME! Maybe I meditate or just surround myself in love or embrace my inner child (shes so cute)but have never thought about being compassionate to myself. This will change as of today. Perfect timing as ever. I have been in need of self-compassion for a while but not realised until now! 2016 will be a very different year for me and I am massively afraid to make the change. Thanks for the reminder. While working on my personal growth, compassion for myself is not one of the things i keep in mind when trying to be mindful and staying centered. There are many things we need to be conscious of while working on growth. what helps me is watching weekly the many videos on line of my favs personal growth sites such as yours for the wealth of info i try to stay in tuned to. Keep up the good work! 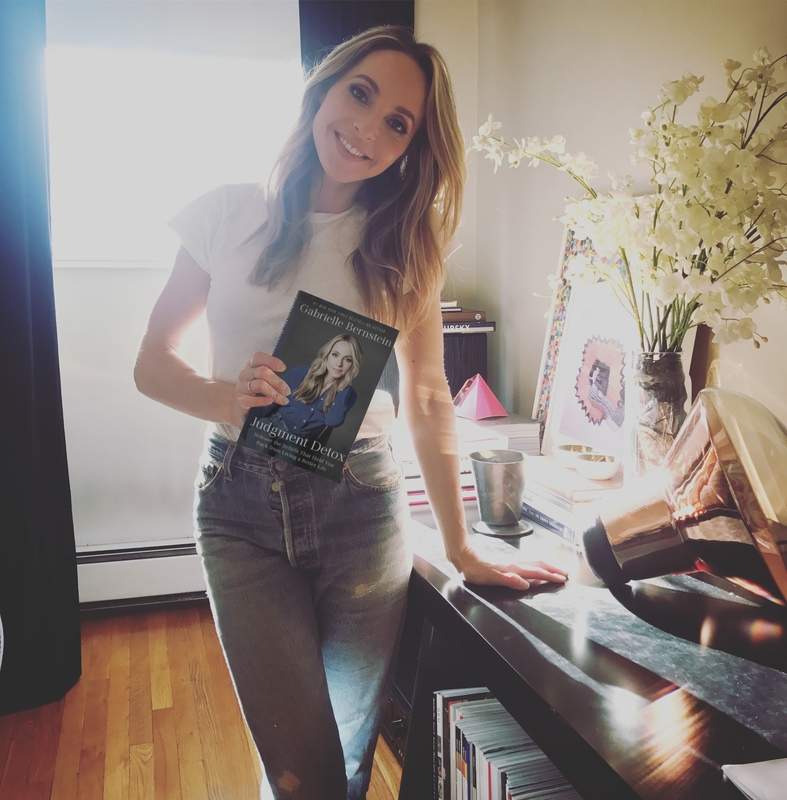 Gabby Bernstein did you forgive your past by seeing the bigger picture that it was necessary and have compassion for it to make peace with yourself? I find it still so hard because old patterns all lead back to what I learned in the past, but that’s not me. After 25 years I can recreate patterns but that only works when I made peace with the past. I realize that now when I am writing this. I coach too but am my own worst coach. I will do your exercise and heal my inner child and old wound by having compassion. I hope I finally find peace. Please give me strength! Just wanted to let you know this totally shifted my day today. I am struggling to find energy to do my job (I am chronically ill but need to keep working to support myself). Rather than yelling at myself internally for not having enough energy, not doing my job well enough, and not accomplishing enough; I was able to approach myself loving and say, “It’s okay. You’re doing a great job. I know this is hard but we are going to get through this together.” Being able to be my OWN source of love and support made all the difference. Thank you. Thx for this great vlog! I really needed that today!!! THANK YOU Gabby! You changed my life in so many ways!!!! THANK YOU!! I am a 50 year old woman on the journey of recovery from addiction and alcoholism. I ran across Spirit junkie on audible and I cannot express to you how it has helped me open my heart and mind and life to Divine Spirit. Self compassion is a struggle for me, I think because of the fact the I was in active addiction for about 35 years…starting at age 15. I am learning who I am and praying and meditating for guidance on a daily basis. The practice of self love and compassion is a foreign concept to me but I know without a doubt that it is a part of the key to living a sober, whole-hearted life. Thank you for your wisdom. Blessed be. God bless you, Laura. Thank you for sharing this. Sending massive to you on your healing journey. You are not alone. Yes you are, sister!! You are connected. I honor you for showing up with such grace and compassion. I will love to meeting you and if possible learn more with your guidance. I am originally from Venezuela but I live in Miami married and with 5 beautiful children. I 100% agree with you that compassion is the key to evolve spiritually. 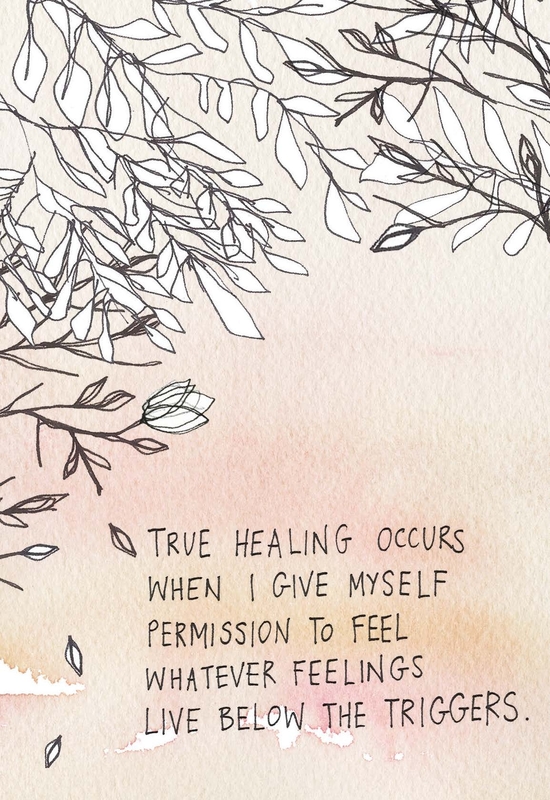 Self compassion has been an essential part of my recovery and healing. I realize now that as much as I experienced criticism and harshness from those around me, I was harshest to myself for so many years. Thanks so much for your work – especially The Universe Has Your Back and Judgement Detox. They have both helped me to heal and look forward to a better life! You’re doing beautiful work Beatrice! This is really GREAT!! – Like all of the others. It takes some practice to consciously be self compassionate, but it helps. And then dealing with other people who are obviously in great pain, I have a plan to be more effective. ‘Twas all these times from my childhood when my Mum used to beat me up. I was petrified of her and always scared to not rub her off the wrong way… this fear grew into the fear of being misunderstood by her, then, I did things her way and always seeked her approval and appreciation which I got often… anyway I just wana say that this topic is really close to my heart & soul and needs more addressing… also… energy healing helps understand & HEAL these patterns. P.S I share and extremely loving relationship with my Mom. I have forgiven her and I love a lot.